With only two weeks to go before BamaJam 2012, organizers have revealed details about on-site entertainment and amenities that are sure to excite festival attendees. The event, to be held in Enterprise, Ala., June 14-16, will not only feature performances by some of today’s hottest music artists, including Tim McGraw, Zac Brown Band, Kid Rock, Alan Jackson, Eric Church, Willie Nelson, Sheryl Crow and more, but the premier festival will also offer a wide array of lifestyle activities including a water park, a par 3 executive golf course, ATV trails and more. Tickets for each of these individual activities will be exclusively offered to BamaJam 2012 attendees during the festival for the discounted rate of $15 per person. With tickets going up to $159 on June 4 and the gate price being $189, buy now to ensure the lowest ticket price. For more information or to purchase tickets and all things BamaJam 2012, visit www.bamajam2012.com or Ticketfly.com or charge by phone at (877) 4FLYTIX or (877-435-9849). BamaJam 2012 will welcome the stars of CMT’s hit reality shows “Sweet Home Alabama” and “Southern Nights,” Devin, Cody and Bubba. You can enter to win an opportunity to meet Devin, Cody and Bubba and more by “liking” BamaJam 2012’s Facebook page and following them on Twitter. BamaJam 2012 offers the VIP Artist Area ticket for $399. The VIP Artist Area ticket will grant you access to get up close and personal with the stars themselves while they are performing! There are a limited number of VIP Artist Area Tickets, so act fast. VIP Artist Area Tickets do not have to be purchased in addition to General Admission Tickets. Lawn chairs are permitted in the VIP Artist Area. Due to high demand and early purchasers, the BamaJam 2012 RV Camping Central Lot is SOLD OUT. But there is still limited space available in the RV Camping North Lot ($175 per spot), RV Camping South Lot ($160 per spot) and tent camping ($85 per spot). In addition, there are a very limited number of all-inclusive RV spots available with water, power and sewer hook-ups ($1,500 per site). BamaJam 2012 will introduce new and innovative dual-headlining stages, allowing the music to keep flowing without having delays due to set changes, resulting in three days (over 2,520 minutes) of non-stop music! These two stages are the largest portable ones ever built. When they arrive on site, they will transform into two huge 50’wide X 40’deep X 35’ tall stages in less than a day. All together this rig is over 216’ wide and weighs in at about 400,000 lbs. A special sound system has been designed and custom built in Valencia, Spain. Production is topped off with three large high definition 11’ X 21’ LED video walls, giving even the furthest person an up-close-and-personal view of their favorite artist. Surrounding these two stages will be VIP double decker viewing stages giving festival attendees an unparalleled view of the artists as they perform on stage. Also, the downstairs area will host a VIP lounge. To see more pictures of the stage, visit http://bamajam2012.com/ or http://www.fb.com/BamaJam2012. BamaJam 2012 is a production of BamaJam Productions, LLC. For more information about BamaJam 2012 artists, tickets, camping, directions, parking, sponsors, jobs and vendors, visit www.bamajam2012.com. St. Maarten, the ‘Friendly Island,’ boasts 37 beaches, more than 365 restaurants and a plethora of day and nighttime diversions for all, making it an ideal vacation destination. St. Maarten was voted as one of the top 10 ‘Best Island in the World’ by US News. The ‘Friendly Island,’ which boasts 37 beaches, more than 365 restaurants and a plethora of day and nighttime diversions for all, has something for every traveler, making it an ideal vacation destination. “As a destination we are greatly honored to make the list as one of the top 10 ‘Best Islands in the World’ by US News. It is a great achievement for St. Maarten and we appreciate the support from the millions of travelers that visit us throughout the years,” said May-Ling Chun, interim Director of Tourism for the St. Maarten Tourist Bureau. Luxury Link (www.luxurylink.com), a leading online luxury travel destination, has partnered with luxury brand kate spade new york to offer a chance to win a dream vacation to one of the most beautiful islands in the world, Bora Bora. In celebration of kate spade new york’s newest collection, Luxury Link and kate spade new york will send a lucky winner and friend to the Tahitian island of Bora Bora for the trip of a lifetime. 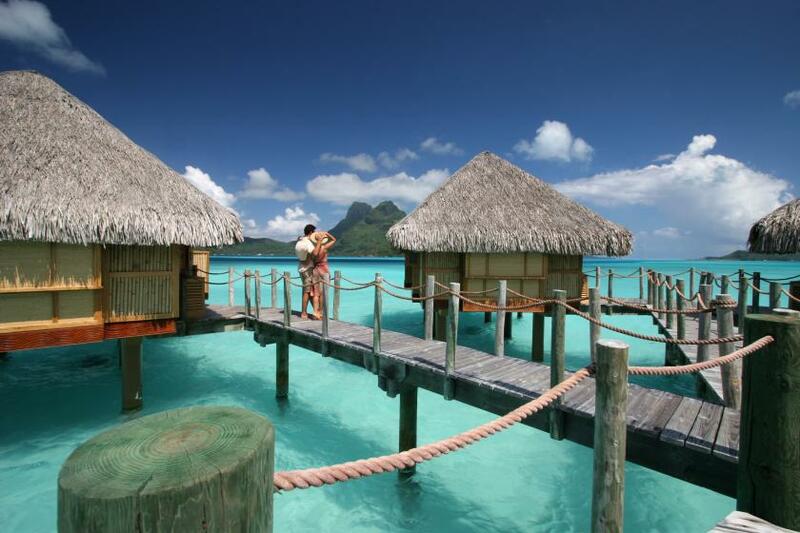 Known for its world-famous lagoon, stunning blue-green water and powdered white sand beaches, Bora Bora is the ultimate South Pacific Polynesian escape. kate spade new york and Luxury Link will be sending the grand prize winner and a guest off for a five-night stay at the luxurious Bora Bora Pearl Beach Resort & Spa, where they will enjoy their own suite with a private pool, garden and terrace. The winner will also receive a $500 American Express gift card and other sweet treats from kate spade new york for a spectacular island escape. To participate, go to http://katespade.promo.eprize.com/tahiti/ between May 15 – June 11, 2012. For a travel guide to the Tahitian islands, check out the Fathom for kate spade new york city guides at http://www.katespade.com/city-guides/city-guides,default,sc.html. The guide features the best places to stay, shop, eat and drink in Tahiti, as well as a handy cheat sheet and island itinerary. The Country Music Hall of Fame® and Museum in Nashville is dedicated to the preservation of the history of country and related vernacular music rooted in southern culture © 2012 Karen Rubin/news-photos-features.com. The Country Music Hall of Fame® and Museum will explore superstar Taylor Swift’s record-breaking world tour with the exhibition Taylor Swift: Speak Now—Treasures from the World Tour, which opens on June 6, 2012, and runs through November 4, 2012. The exhibition will include dozens of costumes, instruments, set pieces and props from the six-time Grammy winner’s acclaimed 2011-12 Speak Now World Tour, which entertained more than 1.5 million fans over 111 shows in 19 countries spanning four continents. “Taylor Swift’s Speak Now tour was one of the most successful tours in all of music, and she has been an ambassador for country music, raising awareness of our genre literally around the globe,” said Museum Director Kyle Young. “We are delighted to be able to bring our visitors up close and personal with many of their favorite elements from the show, from the colorful and elaborate stage costumes and beautiful instruments, to the magnificent ‘Juliet balcony’ that Taylor entered near the conclusion of each show and ‘flew’ around the circumference of each venue. Earlier this month, Swift pledged $4 million to fund a new education center at the museum. Swift’s gift, the largest capital contribution by an individual artist in the museum’s 45-year history, prompted the museum to name the new space the Taylor Swift Education Center. The center will open in early 2014. The gift was made in conjunction with the museum’s expansion capital campaign, Working on a Building: Country Music Lives Here. Swift has for years been a generous supporter of the museum’s exhibitions, loaning the institution dresses, stage costumes and instruments for display; a free-standing, Taylor Swift multimedia exhibit has been one of the museum’s most popular attractions since its debut in May, 2010. Accredited by the American Association of Museums, the Country Music Hall of Fame® and Museum is operated by the Country Music Foundation, a not-for-profit 501(c)(3) educational organization chartered by the state of Tennessee in 1964. The museum’s mission is the preservation of the history of country and related vernacular music rooted in southern culture. With the same educational mission, the foundation also operates CMF Records, the museum’s Frist Library and Archive, CMF Press, Historic RCA Studio B and Hatch Show Print®. The Palm Beach Zoo has a host of special programs for summer. Zoo Babies: Discover the different ways animals raise their young. Participants will hop out of pouches, fly from nests, and hatch out of eggs, then travel around the zoo to meet some of the zoo’s very own zoo babies. Backyard Buddies: Come discover the zoo that’s in your own backyard! From owls to opossums, turtles to snakes, we’ll take a look at the amazing animals that call our backyards home! Color Safari: How many colors can a chameleon be? Learn why color is so important in the world of wildlife, and meet some colorful animals up close. Wings and Things: Flap like a bat, flutter like a butterfly, and fly like an eagle. Come discover the world of animals with wings! The Palm Beach Zoo stays open late every Friday evening beginning June 1 through October. In addition to daily operating hours of 9 a.m. to 5 p.m., the Friday evening “Summer Safari” will be held from 5:30 p.m. to 9 p.m. These special summer hours are designed to offer families an opportunity to visit during the cool summer evenings. Summer Safari evenings feature children’s entertainment, roving animal encounters and shows, complimentary rides on the Wildlife Carousel, live music in the Fountain Plaza, and dinner specials in the Tropics Café. Zoo Admission is free for Zoo Members. Non-members receive discounted admission of $14.95 for adults and $8.95 for children ages 3-12 during Safari Nights. The child’s admission will include a coupon for one free kid’s meal with purchase of an adult meal in the Tropics Café dining room. 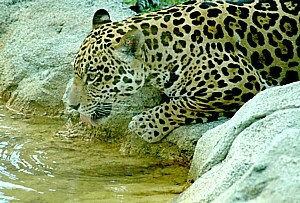 The Palm Beach Zoo is located at 1301 Summit Boulevard, just east of I-95 between Southern and Forest Hill Boulevard. There is ample free parking. The zoo is open from 9:00 a.m. to 5:00 p.m. every day except Christmas and Thanksgiving Day. 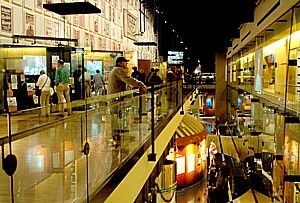 Open Fridays from 5:30 p.m. to 9 p.m. June through October. For more information visit www.palmbeachzoo.org. Play at Wintergreen Resort in the mountains of Virginia this summer takes on a whole new perspective with the return of the popular Wintergreen Passport. Jump in an inner tube or Plunge down a slope, Zip line above tree tops, kayak or canoe Lake Monocan, tune up the tennis swing, and taste wines at the Mountain Inn, all for FREE with Wintergreen’s sizzling summer Mountain Resort Passport! Guests who take advantage of all the activities recognize a $400 value. Wintergreen Resort lodging guests receive one FREE Passport (per reservation) packed with multiple activities and adventures. Each offer on the Passport is valid for one use. Additional passports may be purchased for $40 apiece. Other complimentary activities include miniature golf at Discovery Ridge, a Sunday morning energizer hike from Discovery Ridge and Yoga class at the Aquatic Center. Guests may enjoy 20% savings off a 60-minute private golf lesson for two at Devils Knob or Stoney Creek Golf Course. 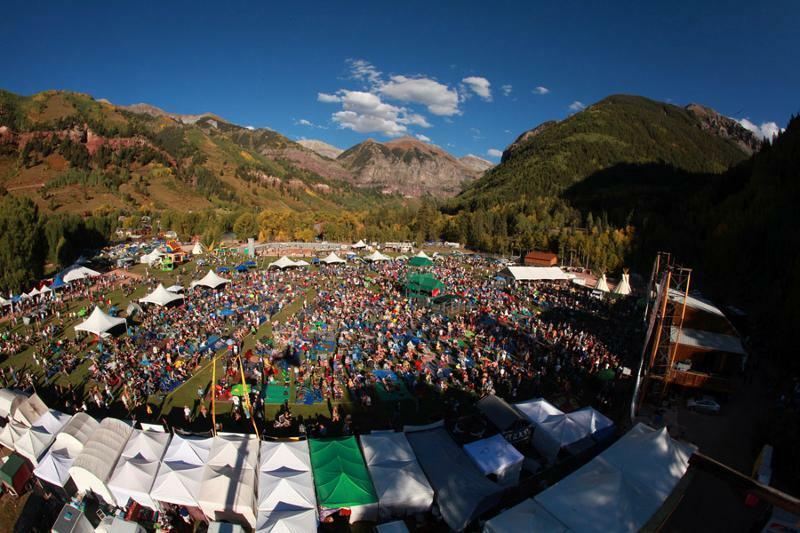 The culturally minded may consider buying one ticket for the Wintergreen Summer Music Festival (July 6-August 5) and receive 50% off the second ticket to the same performance. Wintergreen Passport activities are weather dependent, limited to availability and subject to change at any time. Children under 12 must be accompanied by an adult. The Passport must be presented to participate in the activity and is valid from June 15-September 3, 2012. For more information about the Wintergreen Passport, call (434) 325-8211, or visit the property’s web site at www.wintergreenresort.com. The iconic Breakers Palm Beach resort is offering special summer rates and amenities provided either free or at significant savings © 2012 Karen Rubin/news-photos-features.com. Here’s your chance to stay at one of the most elegant oceanfront destination resorts that America has ever produced: the legendary Breakers Palm Beach is offering summer weekday rates starting at $289 per room per night (based on standard accommodations) with a score of amenities either included or at significant savings. The rates are in effect from June 1-September 30. 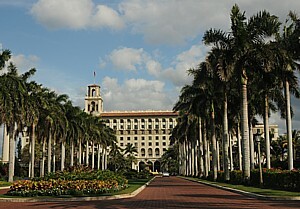 For reservations or more information, visit www.thebreakers.com, call toll-free at 1-888-BREAKERS (273-2537), or contact your travel professional. A multi-faceted destination, The Breakers features 36 holes of championship golf, including the Ocean Course and The Breakers Rees Jones® Course; 10 Har-Tru tennis courts; luxury spa; a breathtaking oceanfront with a half-mile of private beach, Mediterranean-style beach club, as well as luxury beach bungalows for daytime-rental, five pools, four whirlpool spas and a variety of water sports; a Family Entertainment Center and an extensive program of family and children’s activities. Nine distinctive restaurants, as well as an array of on-site boutiques, are all owned and managed by the resort. The Breakers is recognized as a AAA Five Diamond property and has earned numerous accolades for its commitment to the environment, community service and the quality of life it provides to its employees. Sports Travel and Tours’ is offering a Baseball Hall of Fame Induction Weekend, July 20-22 in Cooperstown, New York, which gives guests an insider’s look at baseball history with an exclusive “Artifact Spotlight.” This program allows visitors to learn about artifacts not currently on display, as a Hall of Fame staff member shares the unique stories behind selected pieces from the collection. This feature adds to the already spectacular weekend experience offered by Sports Travel and Tours. STAT recently announced its lineup of 2012 of Baseball Hall of Fame Induction Weekend Travel Packages, along with travel packages throughout the year. “In this economy, customers need to be selective when it comes to their money and vacation choices, and these travel packages afford baseball fans the best possible experience at a competitive price”, says Jay Smith, President of Sports Travel and Tours. “Our continued partnership with the National Baseball Hall of Fame and Museum offers fans the chance to visit Cooperstown—for Induction Weekend, or any time throughout the year”. The July 20-22 travel package includes hotel accommodations, admission to “The Hall”, various events throughout the weekend culminating in the Induction Ceremony on Sunday, July 22. The VIP option even includes reserved seating near baseball’s celebrated heroes for the Ceremony! Shortstop Barry Larkin and Golden Era Committee electee Ron Santo will join the roster of baseball’s all-time greats. More than 50 Hall of Fame members annually make the trip to Cooperstown to be part of this special weekend, and attend the Weekends events. Founded in 1996, Sports Travel and Tours is a national tour operator based in Massachusetts. The company features travel packages for groups and individuals for all the major sporting events. Travelers can also create their own trip with the “Any Game…Any Time…Any Place!” program. Through its partnerships with the National Baseball Hall of Fame and Museum, Pro Football Hall of Fame, and AAA Clubs throughout the US and Canada, Sports Travel and Tours creates one of a kind, unique trips. 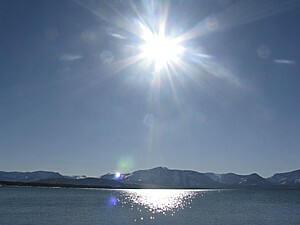 For more information, visit www.sportstravelandtours.com or call 800-662-4424.